I know, it’s exciting times for volcanoholics when a volcano starts playing up but if you live at the foot of same edifice you might not feel quite as much excitement and hope it might soon go away… Notwithstanding, you might as well be interested what the thing on your doorstep is up to. Some background for this volcano can be found on our post “Poás” from Oct. 2015. I will list a few useful links at the end of this post. Unfortunately, half of the population has no access to lots of infos if they are published on Facebook only. Fb heavily restricts access (even to accounts marked public) for those users who are not going to be ensnared to sign up with them. In turn, agencies and institutions rely heavily on fb to publish important information. Something incongruent here. Poás is part of the Central Valley region of Costa Rica, some 20 km NW of Equador’s capital San Jose. 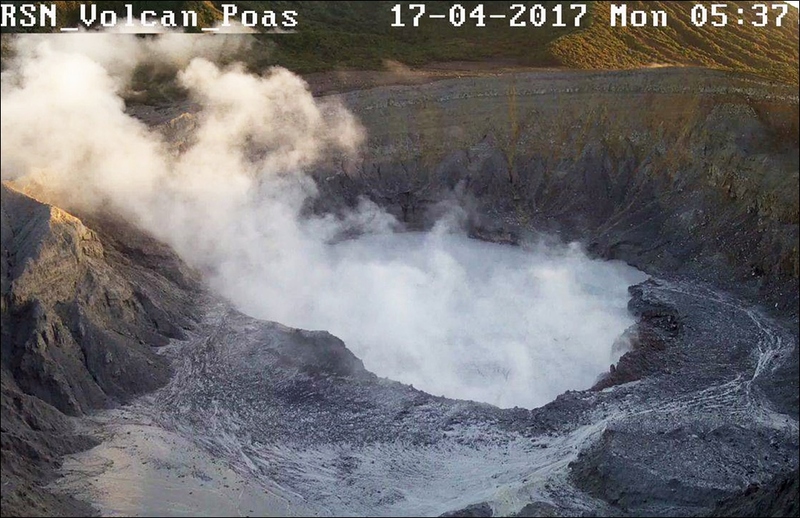 There has been unrest at Poás volcano for months, with fluctuations in volcanic tremor and RSAM as well as small phreatic eruptions and new cracks in the dome*. Since the beginning of 2017 OVSICORI had reported increases in earthquakes, steady crustal inflation and higher contents of sulfur dioxide and hydrogen chloride in volcanic gasses. 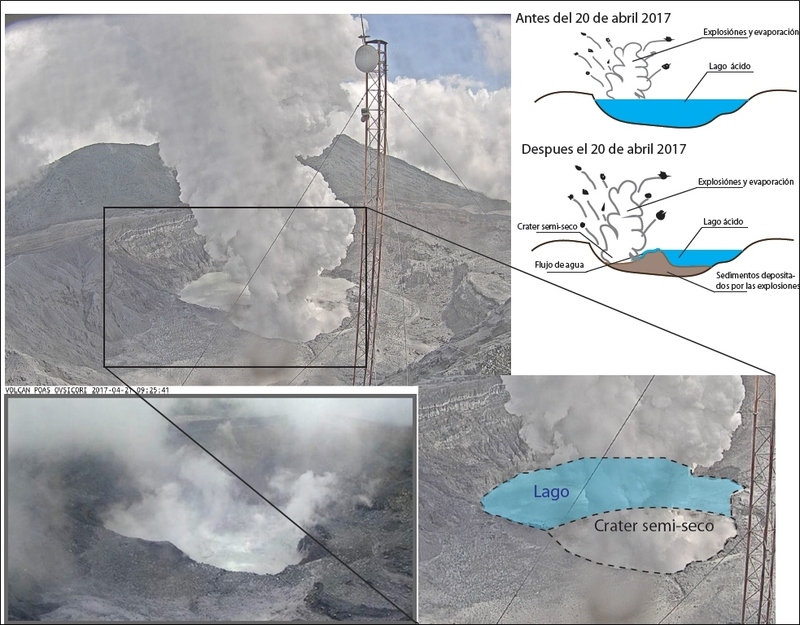 Also a new fumarole had been detected in the crater, and a raise in the lake’s temperature, which went from 35⁰C to 40⁰C in just one week. The lake water had changed from turquoise to white-gray, which is always a sign of changes in the innards of a volcano. Several times evacuations and preventive closures of the Poás NP had been announced in recent weeks. Let’s have a look at the events of the last two weeks. *According to Rymer et al. (2000) the so-called dome (“el domo”) was not a lava dome in the sense of lava being squeezed out onto the surface. It was the remainder of a pyroclastic cone that had been piled up to over 27m hight in the 1953 eruption when the lake bottom was dry. Later it partly collapsed its material into the crater. When the lake filled up again only the top remained visible. Sitting directly over an active vent, rising very hot gasses often produced the nightly glow on its surface. On April 14 eruptive activity continued, initially with two events. The first was very brief, while the second lasted at least 5 minutes in its most intense phase. The eruptive column reached about 3 km above the crater, shooting blocks and sediments towards the park lookout. The column surpassed the level of clouds that covered the top. Following this event, at least 15 other smaller eruptions were recorded during that day and part of the night. 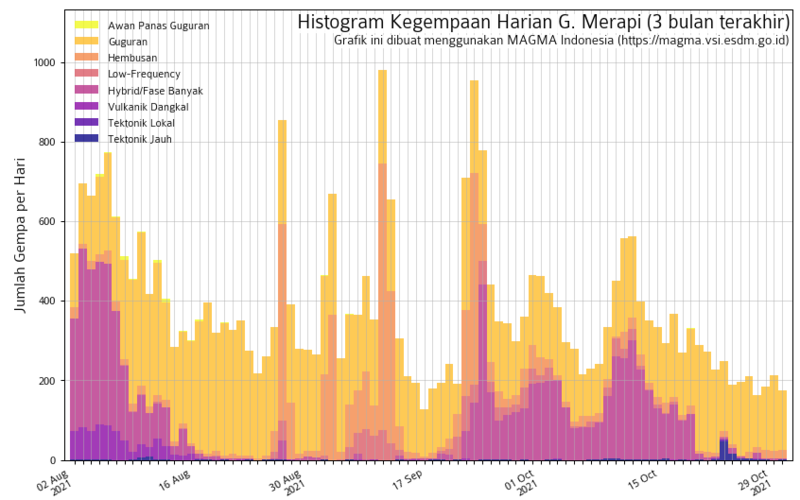 On April 14 -15, the volcano showed a constant tremor and fluctuating amplitude between moderate and low values. Several small to medium eruptions were recorded. Low-frequency volcanic earthquakes (LP) continued, some of them of medium amplitude. One explosion on the 14th was strong enough to throw rocks up to the viewing area, with a force that twisted metal rails and cut clean through concrete paving. PHREATIC or PHREATO-MAGMATIC? 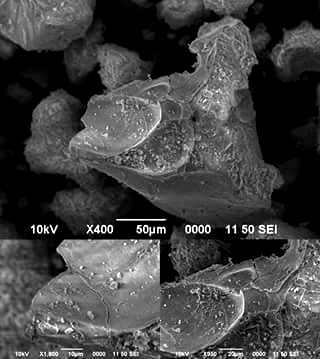 Using SEM microscopes, it has been found that ash expelled between April 12 and 14 was composed mostly of secondary or altered minerals, altered rocks, lithic rocks (pre-existing rocks) – and a fraction of around 5% juvenile material. With this, the presence of fresh magma in the eruptions has been confirmed. Phreatomagmatic eruptions had not occurred in the Poás volcano since 1955. Poás Volcano National Park closed access to the volcano indefinitely. On the day before rocks from 40 cm up to 2 m in diameter had been hurled by the eruption. A two-meter-stone broke the drinking water pipeline that feeds the facilities of the national park. The rock fell 30 m from one of the trails that tourists usually travel, said the park manager. – A restriction zone of 5 km around the crater has been imposed. Today’s second and largest eruption began at 22:42 LT, generating an eruptive column of at least 2 km in height. It has been confirmed now: these explosions completed the destruction of the dome that had been formed there since abt. 1953. Video of an overflight on 18 April 2017 (by Geoffroy Avard, OVSICORI-UNA) – don’t miss this! During the last 24 h there has been a series of small eruptions, interspersed with variable amplitudes of tremor, from low to moderate. The most important lasted 2.5 hours, with eruptions on a nearly continuous basis. They consisted of the emission of water, gas, fine particles and aerosols from the main crater lake. Low-frequency volcanic earthquakes (LP) continue to occur, but they are small. Wind was mainly to the W.
– Webcam observation since yesterday afternoon shows a plume very rich in water of low eruptive intensity that generates ash and pyroclastic fall and ballistic incandescence around (<100m) of the new crater. – That activity is forming a pyroclastic cone at the site of the old dome (see figure below). – Small bursts started before 7pm yesterday, increased and have continued until now with emission of pyroclasts and ash with strong degassing. At the beginning of this activity the tremor was moderate and increased to the highest amplitudes between 7am and 8am. – The gas flow has increased from 1000 t/d on April 13 to 2500 t/d yesterday, and today the degassing is visually stronger than yesterday. – Inflation continues in linear form and has reached up to 8 mm of horizontal inflation and 15 mm of vertical rise in the last 3 months. – Wind was to the SE in the morning and today; strong smell of sulfur is reported from the villages there. The last 24 hours brought strong degassing and ash emissions. The seismic signals present many earthquakes of low frequency (LP) and some volcano-tectonic (VT), besides a low to moderate tremor signal. Yesterday during the afternoon there were 2 eruptions and during the night four more eruptive events were recorded – before the most important, very strong eruption at 22:12 h. This eruption threw ballistic missiles at great distances. The next morning OVSICORI wrote on their fb account: The strong eruption left surveillance systems out of service again, and also… bye-bye, new webcam! 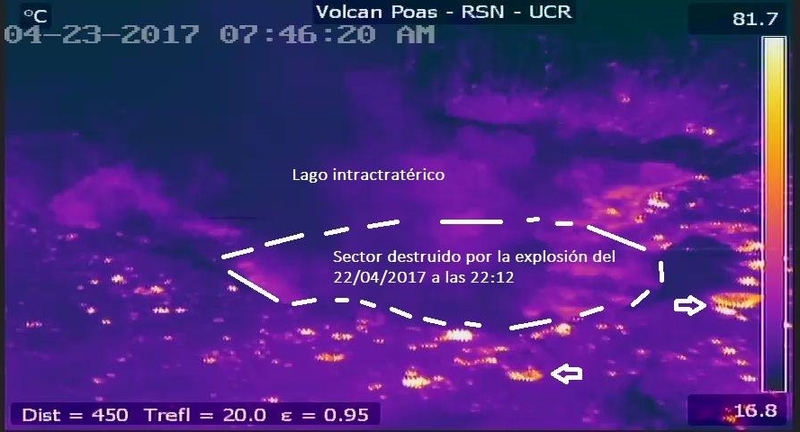 Thermal camera image, RSN: The explosion yesterday [22/4] at 22:12 destroyed the accumulation of blocks and ash at very high temperature which had formed during the eruptions on April 20 and 21. The water of the crater lake has returned to occupy that sector (indicated with white dotted line). Today’s update (April 24) does not record any change of conditions, small explosions continue and more are expected. All the eruptions were identified by the seismic network, which, however, still experiences communication problems due to the April 22 eruption. – Thank you all for your good work under difficult conditions! Throughout this week there will be meetings of the National Emergency Commission (CNE) together with volcanologists to inform the public and “dispel doubts” in the various villages around the volcano. 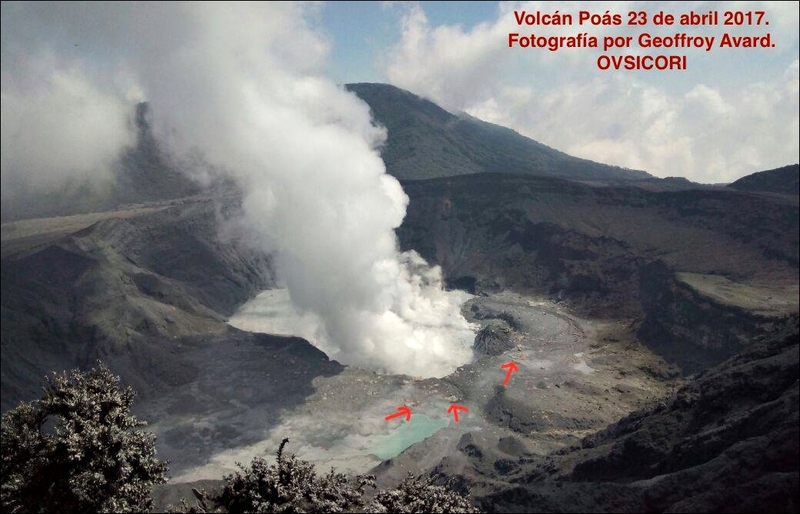 In a Q&A on fb, OVSICORI says that Poás has erupted very little ash so far, compared with the eruption of Turrialba. Otherwise, the development in Poás could go similar to that volcano – but not necessarily so. After the April 22 eruption the ducts are cleared and the pressure decreases, the cycle will start again and could generate another strong explosion one of the next days. 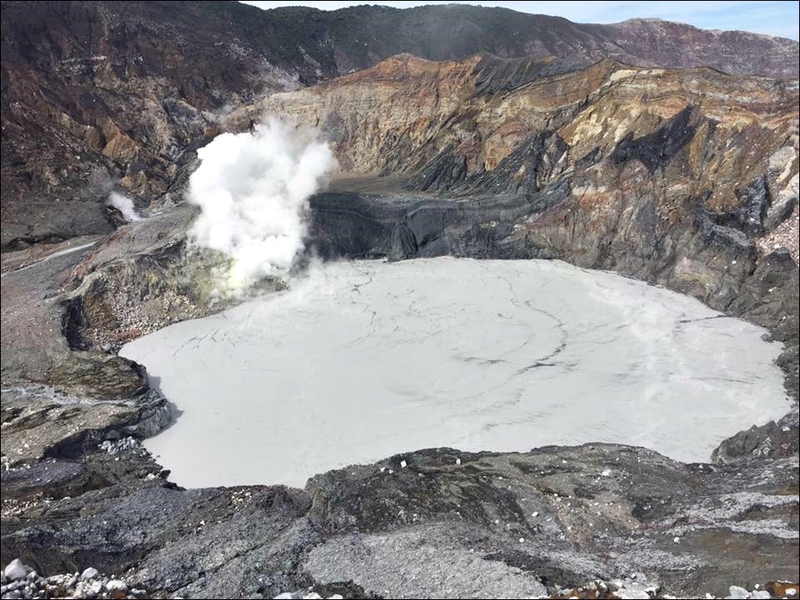 On the Q. what might happen to the acid crater lake, the experts say: At the moment the lake remains with enough water; depending on how the activity develops the lake could disappear for a while and then re-form – further phreatic eruptions can be expected. The Greater Metropolitan Area of San José [20 km SE of the volcano] would practically not get affected by the eruptive activity of Poás; the wind would usually take ash fall to the SW (towards areas like Naranjo, Sarchí, Grecia a. o.). Any further “exciting” updates might appear here as long as the post is on. 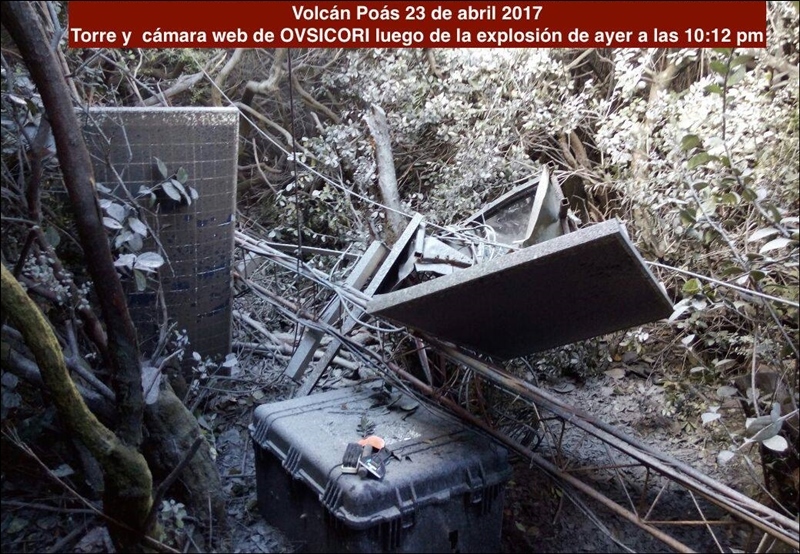 – The eruption of 22/04/17 destroyed much of OVSICORI’s monitoring equipment and did some substantial damage on the visitor area. It hurled pyroclasts 1 km away and destroyed an adjacent forest to 80%. – 25.04. 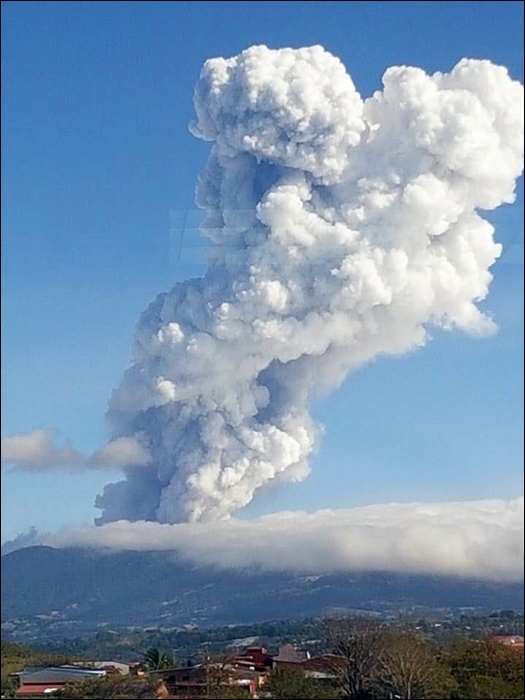 Another eruption occurred, this was similar to the one on 19/04. – 27.04. In several respects the situation is comparable, but not equal to the hours before the strong eruption of Saturday 22 April. Recently analyzed samples show a juvenile material content of more than 50%. – 28.04. VTs and LPs have been observed as well as a low amplitude tremor. The deformation exhibits rapid inflation. A jetting sound has been reported in recent days from several kilometers away. In the active Poás crater, a cone continues to grow of lava fragments, ash, and lake sediments. – 01.05. It can not be confirmed if there was an eruption associated to the recent earthquakes, due to weather conditions, but rangers indicate that the volcano is relatively calm. – 05.05. Persistent and very vigorous degasification at the southern end of the acid lake on the site of the old pyroclastic cone. Also, the surface of the acid lake shows strong agitation and evaporation. SO2 odor is reported from nearby villages and aerosols clouds from Poas have been detected by satellites. Another interesting development is at Manam, where intense seismic activity has begun. 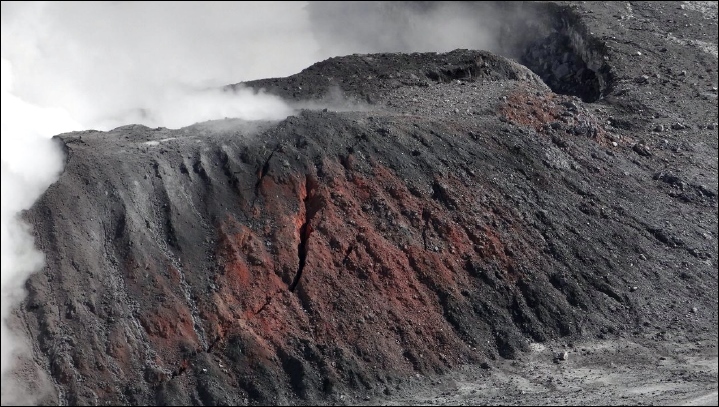 Rabaul Volcano Observatory has reported a high risk of a Sub-plinian eruption. New evacuations of the island are in progress. Darwin VAAC has raised the Aviation Colour Code to Red. – saying essentially that Manam’s activity affects only the top of the mountain, islanders cope well with the situation and emrgency responses are not considered. This coming from both RVO and local authorities. Do you have a link to some sort of RVO communications? They seem still not to run a website, and their fb page is empty (inspite 780 followers). Indeed no website still. I only found out from the VAAC page on VolcanoDiscovery. Looks like the only public direct updates are from Darwin ash advisories. It is strange that some would downplay the situation, the 2004 eruption should still be a fresh memory for the residents! Kick ’em Jenny submarine volcano (8km N of Grenada in the Caribbean Sea) apparently has erupted on Saturday. It’s alert level has been raised to Yellow and an exclusion zone of 5km should be observed by sea vessels. I have added an update near the end of the post.